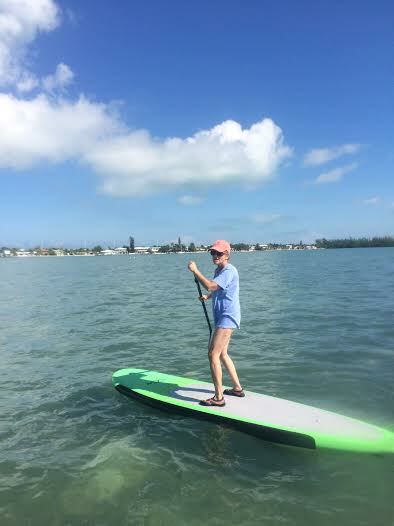 Crystal clear blue sky and water as we headed out on our paddle boards from the Florida Keys Kiteboarding and Stand Up Paddleboard shop. Everything was calm as we left the canal and headed over to the Grass flats towards the sandbar. As we came upon the shallows we got off of our paddle boards to do some educational teaching about the different grasses you can see underwater. 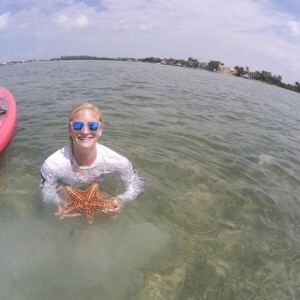 Once back on the paddleboards, we jumped right back off to look at a Bahamas Starfish. 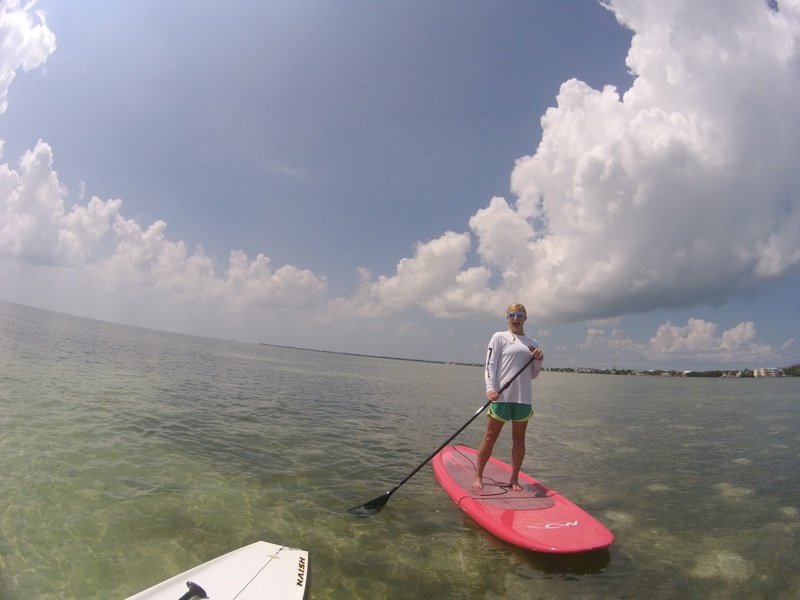 After our second time getting our feet wet and getting back onto the boards, we made it to the sandbar. 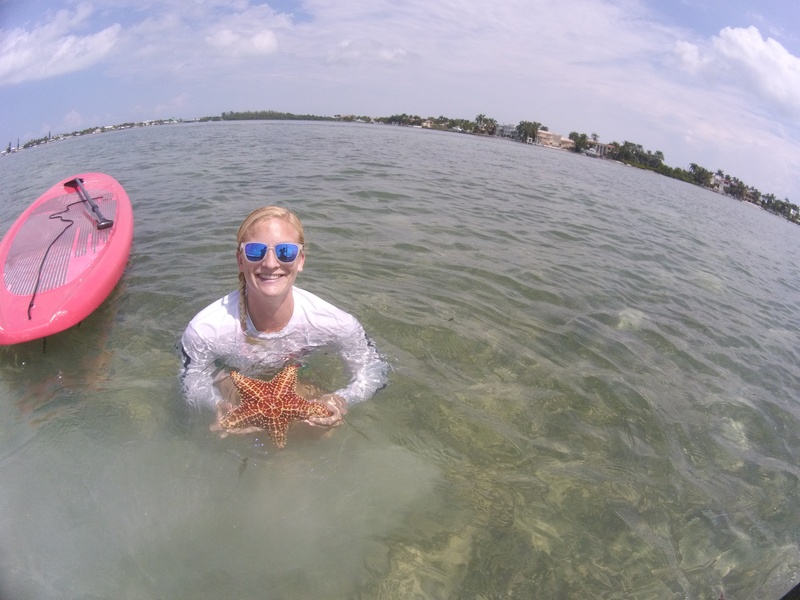 Where we discovered a few Spotted Eagle Ray, Southern Stingray, Sea urchin, Cow fish and a live Conch shell. To make coming back in more fun and environmentally friendly, Aaron and I had a competition to see who could pick up the most trash. He beat me with his half fishing pole, buoy with full rope attached, and water bottles. While I only had a shoe and half a lobster bouy. Overall it was a great trip to get on the water and soak up the sunshine. 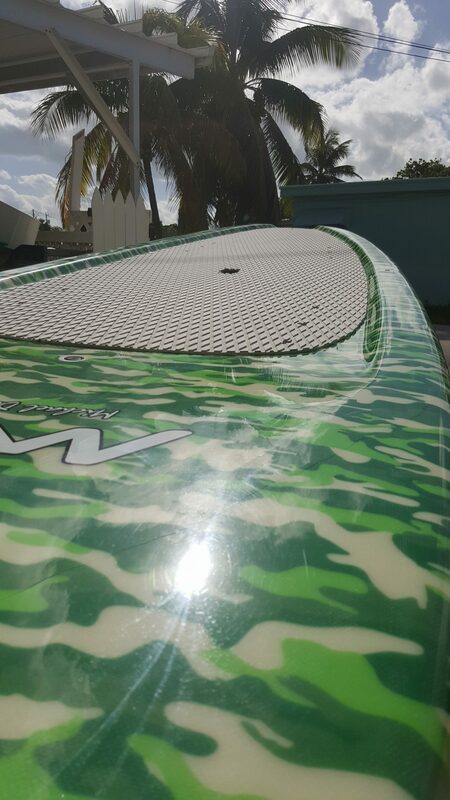 To book a trip of your own please call 305-942-9635 or stop by our shop in Marathon Florida and one of our instructors will be happy to help you out!